Since long time a grand fair is organized every year in September month at the pious Aditya (Sun) temple, which is famous as SATI FAIR in the vicinity. Legends tell that Lord Shiva worshiped in this place for six days and during the invisible exile PANDAVAS also worshiped here for Lord Shiva and Surya (Sun) for a long time. During 16th century in the regime of Chand king this temple was established here. 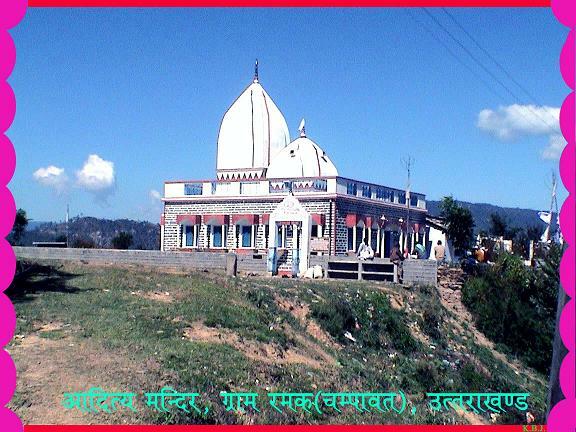 Chand king himself established this temple at this place, who was highly influenced by the beauty of the place. After the establishment of the Sun Temple at this holy place in 16th century, every year SATI MELA is organized in this Aditya Temple. Great number of people and traders come here to participate this fair every year.